Fall is hands down my favorite time of year in the City. It’s nice enough to sit outside in a cozy sweater with a glass of wine without the heat of summer on the pounding on the pavement (aka: the stench of garbage on the streets). Farmers markets have all the BEST things: apples, pumpkins, pears, squash, etc. and this only means… It’s time to break out the nutmeg, cinnamon and delicious spices that I LOVE to bake with! While it is unseasonably warm and muggy on this last day of September, I’m totally ready for a hearty slice of pumpkin bread for breakfast! My original plan was to make two loaves of pumpkin bread: 1 for Rob to bring to his office and 1 for me to bring to my office. 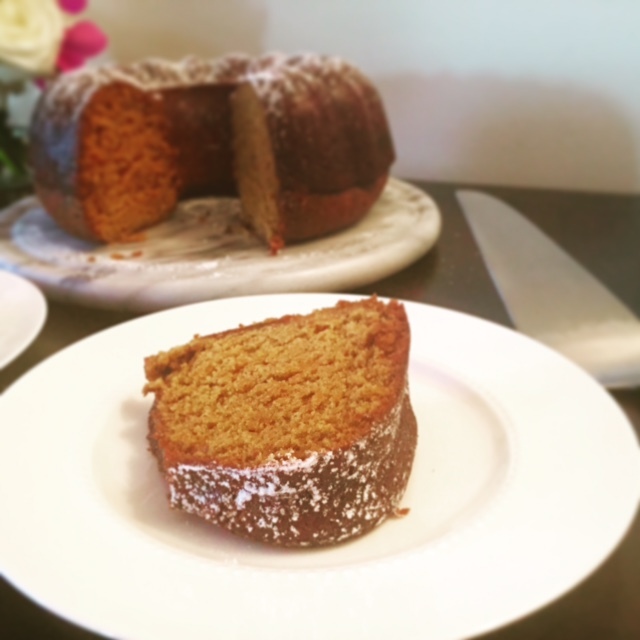 Well, as usual, in my small NYC apartment, I somehow misplaced my 2nd bread pan, so to improvise, I made a bundt cake! 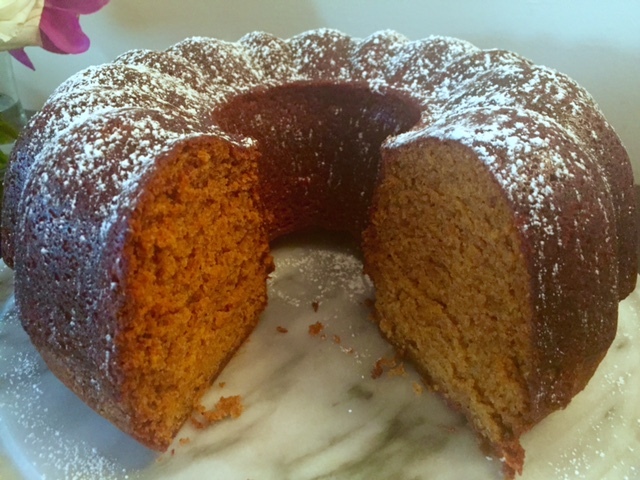 That’s what’s great about this recipe, it can be used to make so many varieties of pumpkin goodness: bread, bundt cake and cupcakes! Have fun with toppings too! 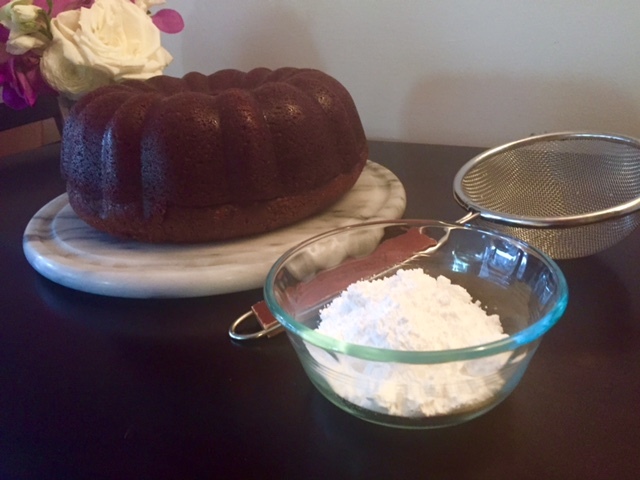 I used a simple powdered sugar topping for my bundt cake, but you can top with a salted caramel sauce, maple syrup frosting, the list goes on. 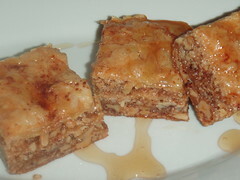 There’s very few pieces of the baking process you can “play around with”, but the flavors are DEFINITELY one of them! 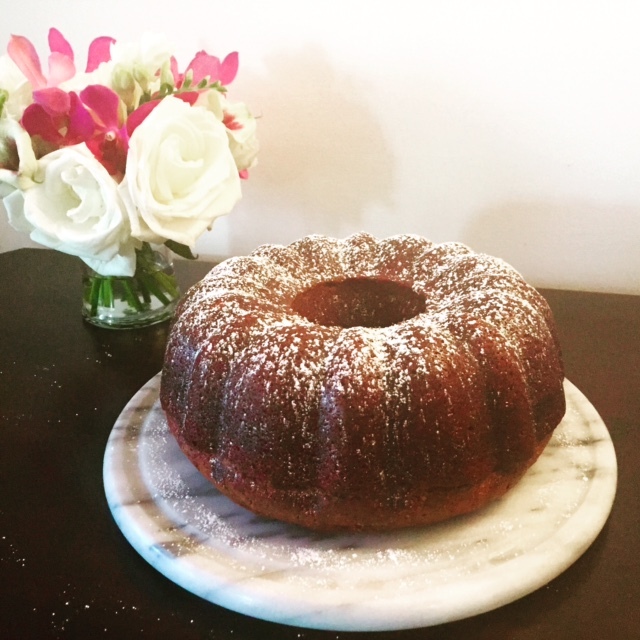 Fun Fact: Whenever I think of bundt cake, I can’t help but laugh. 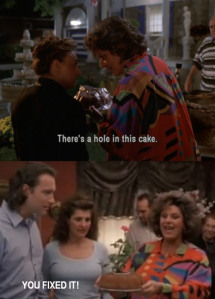 All the comes to mind is that scene in My Big Fat Greek Wedding when Toula’s mother doesn’t know what a bundt cake is and she “fixes” the hole in the cake with a potted flower. Such a great movie! Preheat the oven to 350 degrees F and arrange the rack in the middle. 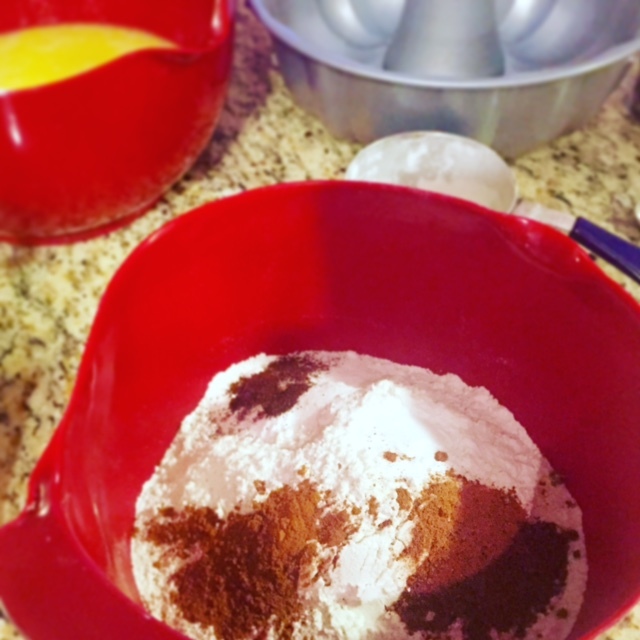 Coat the 12-cup Bundt Pan with melted butter and coat lightly with flour. Tap out any excess flour. Set aside. 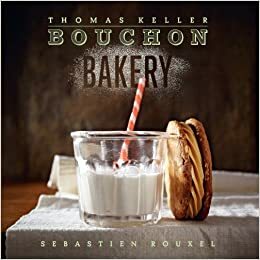 Combined dry ingredients: Flour, Baking Powder, Baking Soda, Cinnamon, Cloves, Allspice, Nutmeg and Salt in a large bowl. Whisk until combined and any clumps are broken up. Using the paddle attachment to your standing mixture (or just handheld), mix the sugar and oil on medium speed until the sugar is incorporated. This will take roughly 1 minute. Scrape down the sides of the bowl. Return the mixer to medium speed, add the eggs, one at a time, beating well between each addition. Reduce the speed to low and add in the pumpkin. Beat until just combined, roughly 30 seconds. Scrape down the sides of the bowl. This step, I prefer to use a hand held silicone spatula, but you can keep using the standing mixer on low speed if you desire. 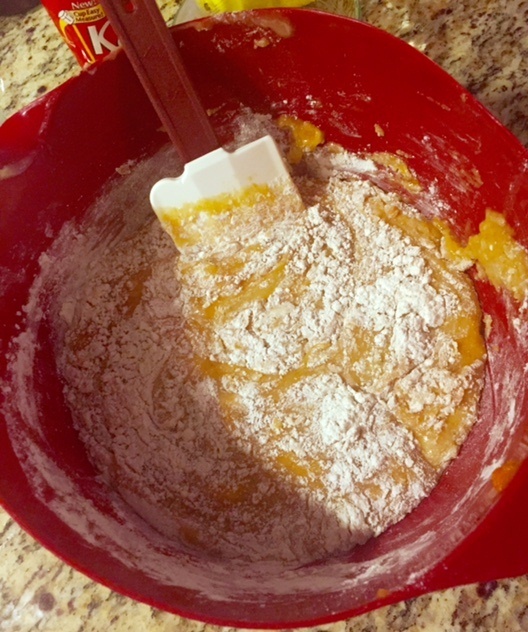 Fold the flour mixture, in 3 batches, into the pumpkin mixture until just incorporated. Scrape the bottom of the bowl to make sure all of the flour has been mixed. 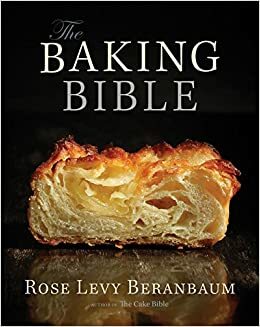 Pour the batter into the prepared pan and bake until a toothpick comes out clean, roughly 1 hour to 1 hour and 10 minutes depending on your oven. Remove the pan to a wire rack and let cool for 15 minutes. Turn the cake out onto the wire rack and let it cool completely.